MANILA, Philippines – The Artillery Foundation of the Philippines, Inc. (AFPI) will hold a rapid chess team competition in December in Makati City. The 2012 AFPI National Government, Private and Commercial Rapid Chess Team Championship will be open to all government, private and commercial establishments, including schools and its employees and students. Each entity may field one or more teams composed of four to five, who are bona fide employees or students. Each team may also field only one titled player. The team with the highest combined score of its best four players wins the team championship, while the player who scores the most number of points will be declared as Individual champion. 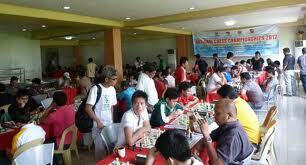 The AFPI will be launching the competition in coordination with the National Chess Federation of the Philippines. The tournament will take place on December 8-9 at the Alphaland Southgate Mall in Makati. Tournament details can be seen at the www.ncfp-phil.org. Funky Chess Balancing Act - Cool Video!